Totally unique! 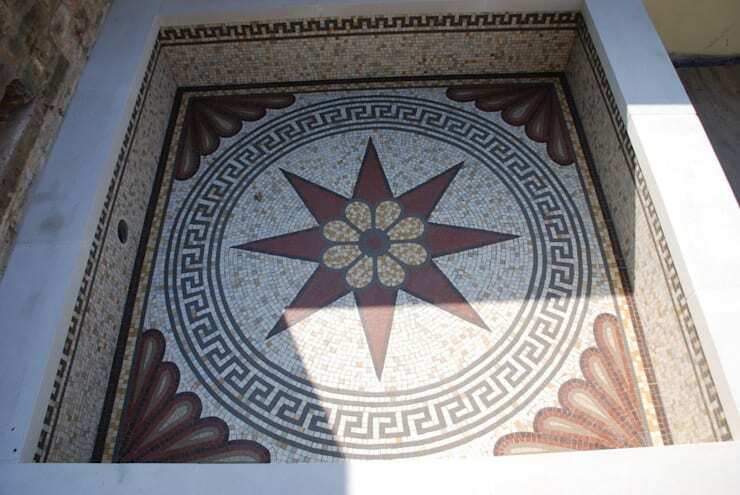 Bespoke mosaic designed for the client to bring alive a small water feature in a corner of the garden. Here the mosaic has just been fitted into the pool which was within 1mm perfect! See the next photo showing he water filled pool complete. 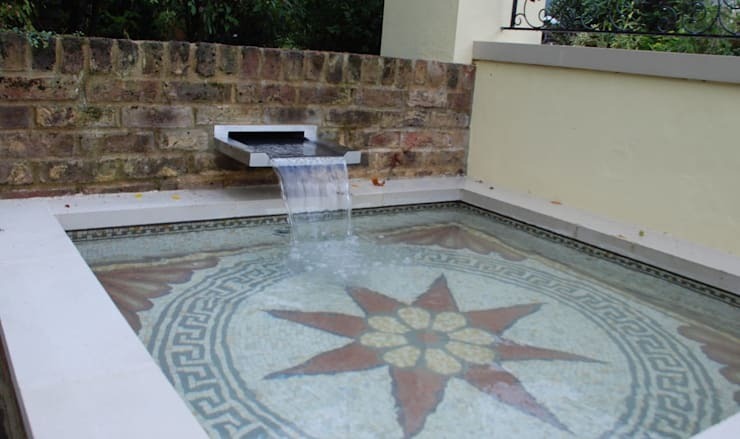 Water pours into the small pool with the 'one off' designed mosaic for the floor and walls of the pool.